During one of my frequent Instagram sprees I stumbled across the new Leeds based Vintage Store “Feed your head Vintage.” Being a lover of both, vintage and Jefferson Airplane I felt intrigued. Feed your head sells hand selected unique and partly reworked vintage items from the 60s to 80s. 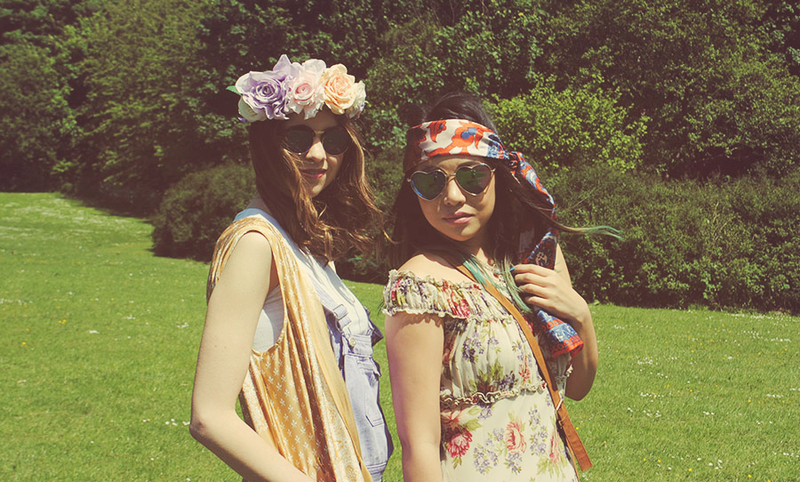 Their main inspiration lies in the psychedelic hippie era, festival and rave culture. 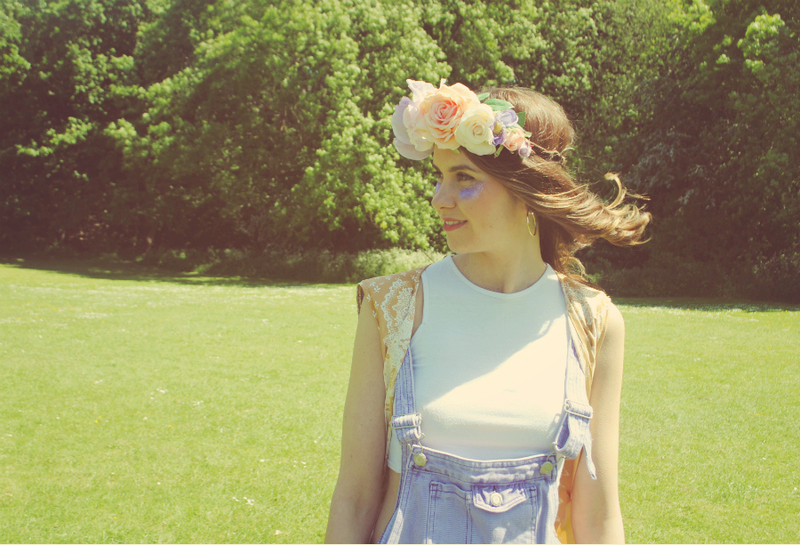 In their online store you can find everything from genuine 70s dresses with wild patterns and exciting cuts to denim jackets with hand painted flowers. If you are all about peace love and music and the next festival is getting closer, you will definitely find everything you need at their store. And if all that hippie stuff is so not your thing, don´t worry! Simply create a grungey 90s look with their rad dungarees and cut off shorts. Gorgeous photos! They have a really cool vibe! Looking for an affordable and stylish responsive blogger template ? Checkout my tempate store. They sound like an incredible store, and the fact that the 70s and 90s are back in fashion means that, naturally, I am CRAZY for their clothes; the dungarees and the head crowns and everything! I'm in love! Such great photos!! Love the vintage style!! Love these pictures & this post! Beautiful pictures, and styles~ Love the red headband, it really gives an accent! awww cute photos. the headbands add a nice touch! 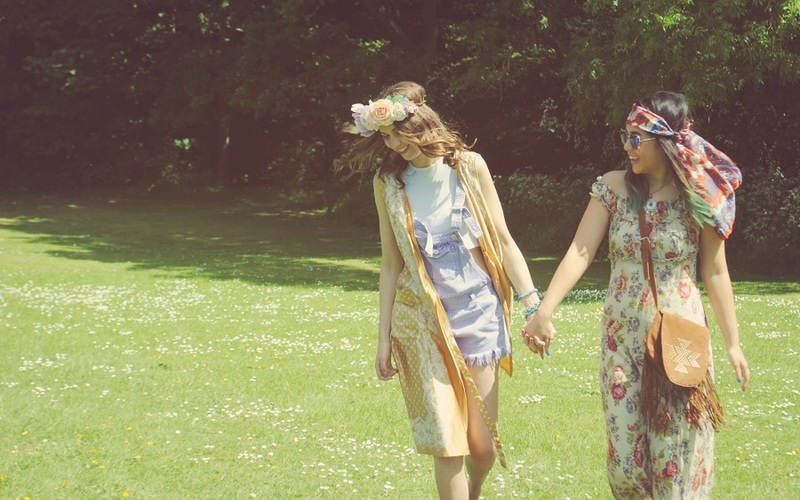 Gorgeous photos, love the flower crown! I love the flower crown, you both look stunning! The flower crown is a win! What gorgeous pictures! Cool photos! The store you found on Instagram definitely sounds like it's worth checking out. Thanks for sharing! 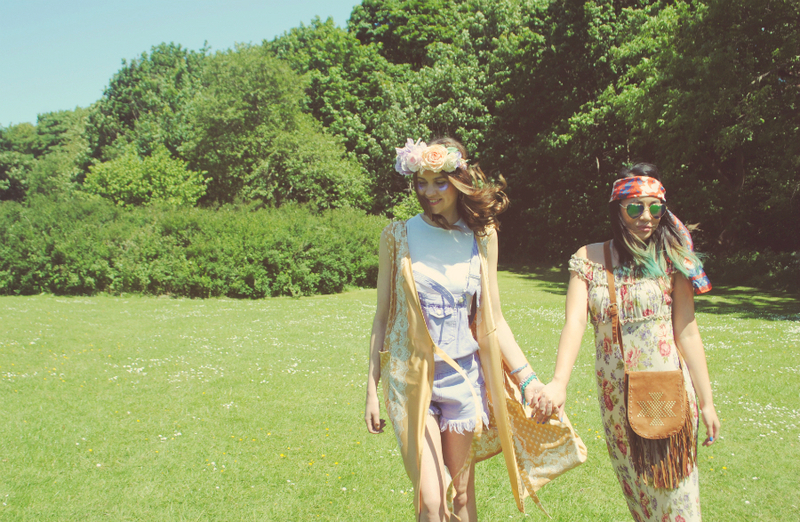 totally love the boho feeling!